Greek Islands belong to the most popular holiday destinations. Thousands of tourists from all over the world visit them every year. One of Greek islands is Lefkada – a picturesque island with a rich history full of ancient legends. Why is this island so exceptional? 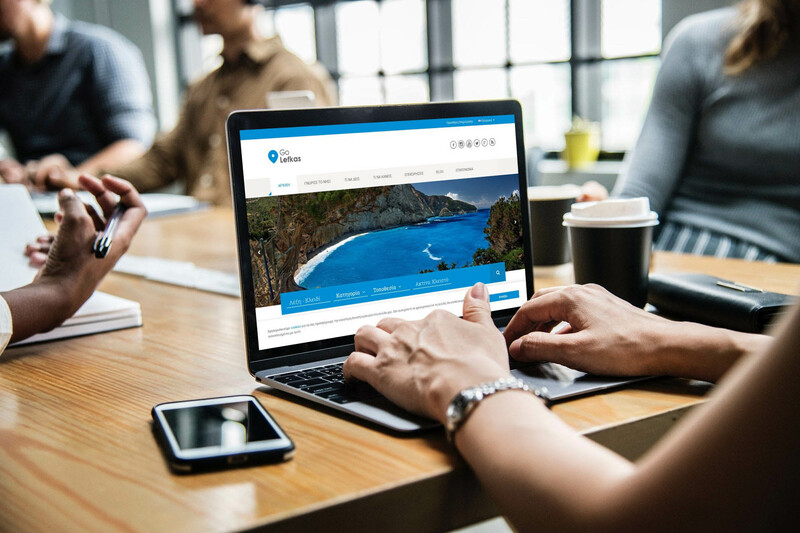 We asked the founder of Go Lefkas directory portal. Tell us more about yourself. Who are you and why have you decided to create a tourist guide of Lefkada? 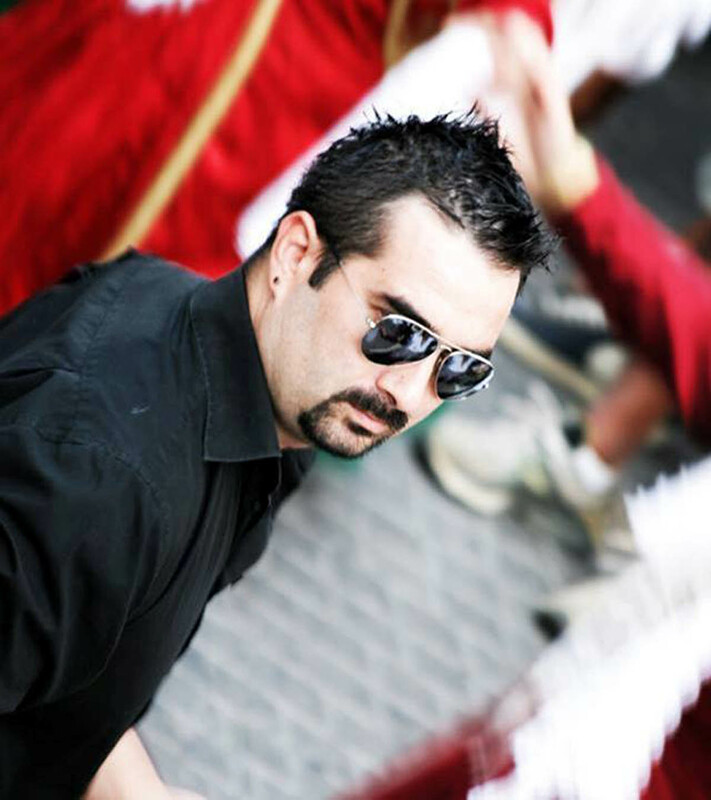 My name is Nikos Kavvadas, I was born and I grew up on the island of Lefkada in the Ionian Sea in Greece. My job is to build websites primarily for tourist businesses (hotels, villas, restaurants, etc.) but also for other types of businesses. 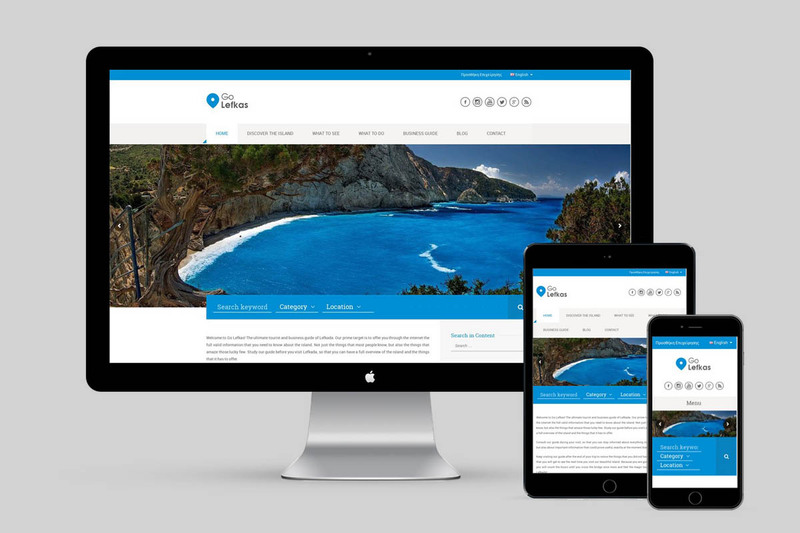 Every year more than 200 thousand tourists visit the island, so in 2014 I decided to create a tourist guide for Lefkada where they can find the information they need to spend a wonderful holiday. So I began to prepare content (texts, photographs, videos) to cover every aspect of the island for every season. In early 2014 I started building the website. I spent for this whole process a one year, but I think the result justifies me, since the “Go Lefkas” is the absolute tourist and business guide about the island! What’s the most special thing about this island? What makes Lefkada stand out from the other islands of Greece is that you don’t need a boat to get here. The island is connected to the rest of Greece with a 50 meter floating bridge! Also in Lefkada there are some of the most beautiful beaches in Greece and all over Europe. The most famous and renowned are Porto Katsiki, Kathisma and Egremni. Finally, the inhabitants of Lefkada are very friendly and hospitable and love culture very much. This is why some of the most famous Greek poets, such as Angelos Sikelianos and Aristotle Valaoritis, come from Lefkada. Too often they call Lefkada as the island of the poets. If you could choose only one place that visitor should not miss? Which one would it be? My most beloved point on the island is the cape of Lefkatas. There, the scenery is very wild but at the same time very beautiful! In ancient times there was the temple of Apollo. The legend says that from the tall rocks of the cape, the most famous poet of ancient Greece, Sappho, had committed suicide when she saw a boat with her boyfriend with another woman! The most visited pages are with listings of accommodation, restaurants, and one with information on the island’s beaches. Who’s a typical Lefkada tourist? Lefkada is a favorite island of the Greeks and there are many Greek tourists thanks to very short distance from the island (15 minutes by car) and there is also the airport of Aktio – Preveza (PVK Airport). So every year there are thousands of tourists from Italy, England, Holland, Germany, Denmark, Sweden, even tourists from Romania and Bulgaria have been coming much more often in recent years. You also promote monuments and museums. Do people like to explore history during their holiday? In Lefkada there are twenty museums, which are being visited by thousands of tourists each year. Also the Venetian castle of Santa Maura is one of the places that tourists visit a lot. The area of Lefkada is the most earthquake prone region of Europe and the inhabitants have developed a very special technique to build their homes. This technique is unique in Europe, and many tourists spend time walking in the old town to see these buildings. Island is known for its Mediterranean gastronomy which is definitely worth trying. Could you recommend the tastiest local products? The people of Lefkada, before the island became a tourist destination, lived in agriculture and livestock farming, so some of the products produced on the island are very famous. Some of these are lentils from Eglouvi village, the Lefkadian salami, wine and olive oil. Even today, on the island, a rare variety of legume is produced, which the locals call “lathyria” and it’s very nutritious! Visitors of “Go Lefkas” can find detailed information about local products as well as videos with all the Lefkadian recipes! Lefkada is mainly summer destination. What kind of activities can tourist do here when the high season has ended? In winter, the island does not have many tourists, I think it is the best time to discover the real Lefkada! Most of the island is mountainous and you can walk in beautiful paths. You can also walk in the wild oak forest of “Skaroi” mountain. The view from there is unique! One of the most beautiful activities is photographing wild birds in the Lefkas lagoon. Every year hundreds of flamingo birds come to spend their winter here! Finally, every night the city’s cafés are full of people who have fun with their friends. Everybody is invited to this celebration! The plans for the future are to add even more videos to the guide and to translate the content into the Italian language. 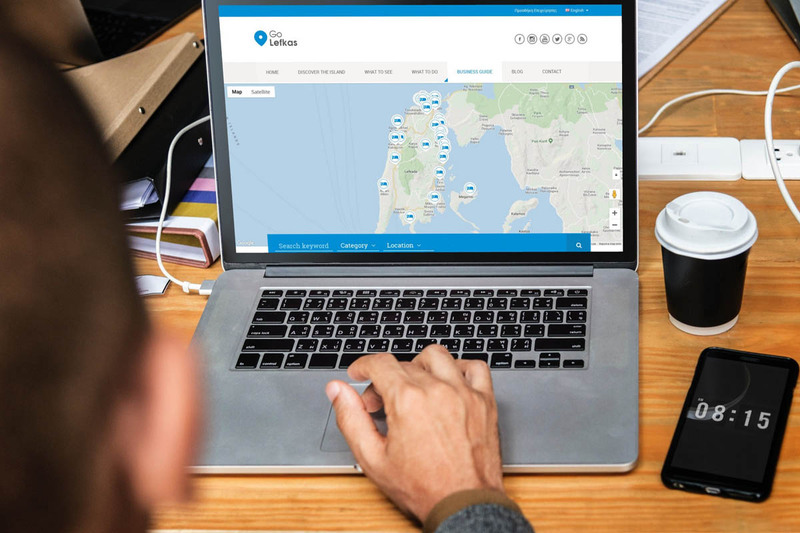 Website GoLefkas.gr was created using City Guide theme. Thank you so much Ivi! I had a bsnss idea very similar like yours. long time Ilook for COMPATIBLE theme and finally I found a theme. Point Finder. couldn’t find someone to run. If you get your theme, how can you help me? thanks for interesting in our product/s. Once you decide for Full Membership package through http://www.ait-themes.club it includes all of our themes, plugins and assets and you can have them for special price ,- excl. VAT if applicable. 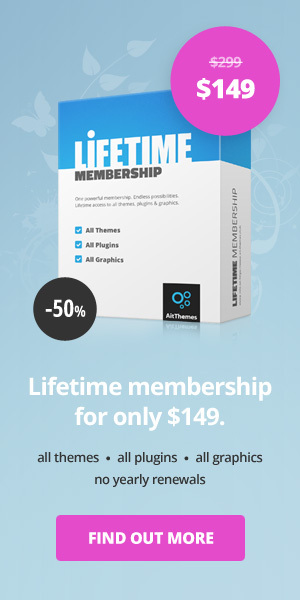 All of our products available on http://www.aitthemes.club comes with access to support forum and access to updates valid for a 1 year (except Lifetime membership that comes with unlimited access to any of our products). After this period you are allowed to continue using our products for unlimited time. You are free to decide to renew your membership at any time for the same price. Any of our products purchased via club comes with unlimited license usage – you can re-use the theme, the plugin and/or the icon in order to create unlimited web projects, use them for as many domains as you like etc. No problem. Or feel free to post technical question “after purchase” directly in our dedicated support ticket system. You should login into your account at https://system.ait-themes.club/support/. Our technicians are able to answer most efficiently even as quick as possible when you decide for priority question (obviously within a few working hours). Customer Support is provided during working days from 8am to 5pm Central European Time.